Nasser El Sonbaty: The Story Behind The Interviews! Exclusive - With his series of tell-all interviews, the question that is on everybody's mind seems to be, why? Nasser explains all in this electrifying and fascinating story about why & how the four interviews were created. Find out more right here! 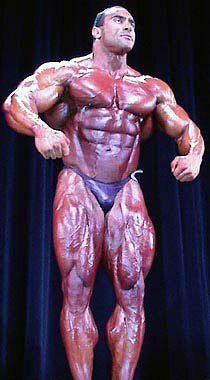 Nasser El Sonbaty, one of bodybuilding's biggest, best competitors of all time, a man who revolutionized the massive, yet balanced and perfectly proportioned look, a man who even out-massed the huge Dorian Yates and outclassed him on more than one occasion, solidifying his reputation as the "uncrowned Mr. Olympia," can probably now add "most outspoken bodybuilder of all time" to his impressive resume. 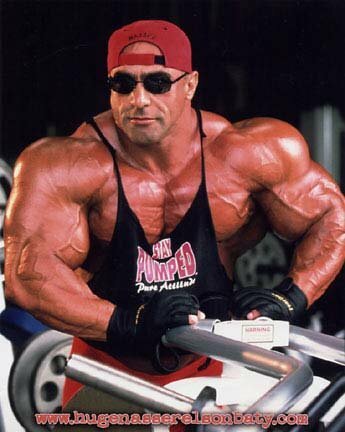 Nasser El Sonbaty: (UMO) Uncrowned Mr. Olympia. "I did speak out before as well when I was actively competing. But now I do speak out way more because now I do not make my living solely from bodybuilding. I am actually financially independent from bodybuilding. Before I said things here and there but I could not say everything that was on my mind or bothering my soul because then you are no longer acceptable, not even for your own good or your sponsor. You are seen as a troublemaker, not as a freedom fighter. If you speak bluntly you are punished by the judges and will be placed lower, which compromises your earnings. The judge told me once/gave me the advice that "the best thing would be" for me not to say anything about the judging because it would benefit me positively in the future through higher placements. And if you speak up then you should speak up for yourself because the other bodybuilders will not speak up for you. And if you really think it through, what really changes so efficiently when you speak out as a still competitive bodybuilder, regardless if as an amateur or pro? Nothing for the better! They can easily give this or that promoter the advice not to use you for this and that guest posing. And at the end: who really says thank you to you - for your "input" regarding fairness and justice? Nobody really! In most cases you can't change anything. You can basically change your situation by making it worse and going downhill. You can't make a living through complaining and pointing the truth out and you can't progress to the top either. So, I do fully understand why so many athletes in the industry mostly do not speak up and why they are so afraid. Also by being a whistle blower or complainer, you do not attract many sponsors either. But - the "but" is there, where should you not self-surrender yourself to all given conditions. Everyone who spoke out, on and off, if it is me, Dillett (Freakenstein), Ray (The Chihuahua), Milos (DCM), or Lee Priest got heavily punished. Less titles, less wins, less money, less favors, but more problems. At least, as I said, in my case I kept my integrity and dignity by not being just a saliva licker and yes-man. Nasser at 298 lbs Bodyweight Owning Lee Priest & Kevin Levrone On the European Grand Prix Circuit Back In The Day. 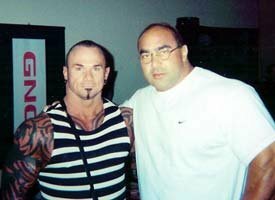 Kevin Levrone also spoke out in between but he felt the reprisal as well, especially from Wayne DeMilia. But Levrone was still more favored than someone like me. On the opposite side of the complainer spectrum you find people like Gunter Schlierkamp, who I call "Smiley Slimecramp." His fake bright smiling behaviour and total acceptance of everything definitely helped him get better placements and even partially because of that he received a way higher paid Weider Contract compared to other much better (Weider) athletes. Again, I spoke up several times before. And this is the main reason why I did not win more shows and why I was not accepted as being the new potential Mr. Olympia. 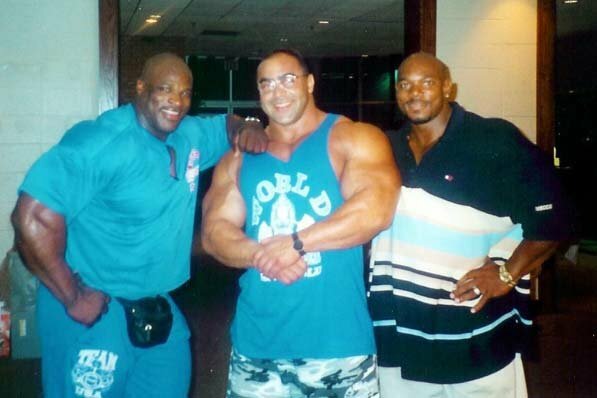 If Coleman had been outspoken before he took the Olympia title in 1998, he would have never won the title. 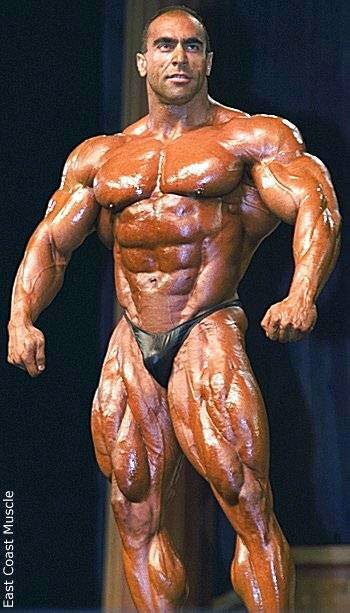 And if Cutler were less brown nosing to the right people he would have not won the Olympia. You basically have to muzzle yourself in order to climb the higher ranks within the sport as an athlete. But as a judge you have to do the same as I explained before. If you do not cooperate with the upper echelons you will go nowhere, not as a judge and not as an athlete in bodybuilding. You will be dropped like a hot potato. Here I also have to say that there are always guys and will always be those who often feel robbed or cheated and less fairly judged. I do not encourage such people to get loud and I do not belong to this category of people either. "C'est la vie" - that is life. Cooperation, adaptation and submission are needed, otherwise the system will filter you out like a strainer. In an established system there is little tolerance for standoffish behaviour. All these people who are calling out for a rebellion are delusional idiots. "C'est la vie" - That Is Life. What works in bodybuilding is working at all levels of daily life. If you are too outspoken at your work place, you will see and feel the repercussions behind, sooner or later. And if you are working for the government and you are making waves, you will be eliminated in the sense that you will not be promoted but demoted or transferred, or even fired. You should not bite the hand that feeds you. At the same time nobody can be reduced to complete silence. Speaking up for the right reason has nothing to do with being disrespectful. I am a battle-experienced foe of injustice. I want to express my experience with the truth in my hand. I do not offend and we are, after all, still living in America. Third Place At The 1995 Mr. Olympia. Also I do think that I am more precise and outspoken because even as a kid I was like that. I remember at the age of seven my mom told a neighbor (a lady) that she had bought a table for 200.00 Deutsch Marks (the former German currency before it was replaced by the Euro). I said to my mom and the neighbor: "No, that is not true, the table cost 191.00 Deutsch Marks." And I have also a good memory most of the time, so I can recall situations better than a lot of people who are just entrenched in forgetting, drugs, alcohol and other addictions and other distractive activities. The other thing is that I have the tendency to be straightforward and blunt, sometimes even brutally honest - even to females, which has backfired on me and has cost some drama. But I would still rather like to be straightforward in many situations and cases. For sure I am not just blindly stepping on people's toes and being an elephant in a so-called porcelain store. But sometimes you have to say how it is. Just misguiding people all the time is not the right solution either. It is good to have the right mix of honesty and diplomacy. To Say How It Is. Being "too honest" or being hypocritical all the time and having a mask on is, from my perspective, also wrong. And as I said before, too much honesty can cost you your work place and with it your existence. And it can cost you your relation to people, parents and to your friend(s), girl friend and partner as well. You have to weigh it out by yourself. In the case of the screwed up situation in bodybuilding, I do think it is good, necessary and refreshing to expose some shady shadow existences - some more, some less, some not at all - who like to be "some bodies" in the lime light but who are actually "little nobodies." Sometimes things should also be said before everyone gets just used to the completely screwed up daily routine of the bodybuilding environment. 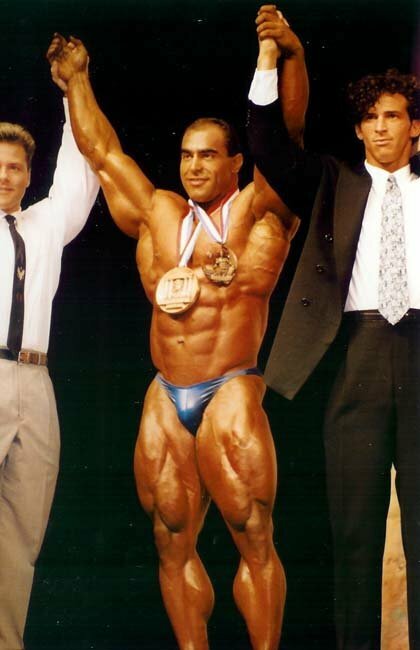 Nasser El Sonbaty - 1997 Olympia. I do not try to be overbearing or to be a world saver but we should not just take everything all the time and smile like we received great things. 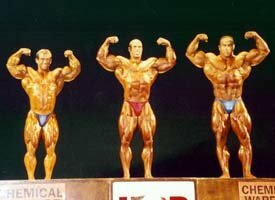 Winning The 1999 Arnold Classic. Being realistic and honest does not mean being pessimistic and destructive either as some people have tried to accuse me of. And all the readers and bodybuilding fans should foster a different view, which is the real view of happenings and the figures in the bodybuilding world. And many of my peers do not like to speak out because they also have too much dirt on themselves. It is said that you should not throw stones in a glasshouse. That can be true. For sure nobody is perfect and I am not perfect either but at least I am not as borderless screwed up as many of these guys who are playing with their existences, lying all the time and enriching themselves at the expense of others. Then we also have for sure some few "players" and bodybuilders who do not want to stir anything up independent of their clean and clear background. Also finally in my situation - I went to school for 13 years, went to University for 7.5 years and then had, for over a decade, a bodybuilding contract. What I like to say about that is that I did not have too many people who could say something to me except my parents, where I had plenty of home training. I was never really in a situation where I had a boss for longer than six months at best. I had my parents above me, my teachers that were mostly intellectuals and a few people who told me what to do for a temporary amount of time. And when I was with Weider I was not bossed around either. And I did not have to be reminded either about what I was supposed to do in shows at shows, and I fulfilled, in most cases, all my set expectations. So, summa summarum, I, additional to my different personality with an independent way of thinking and acting, was not chained down by anyone specifically or in general." 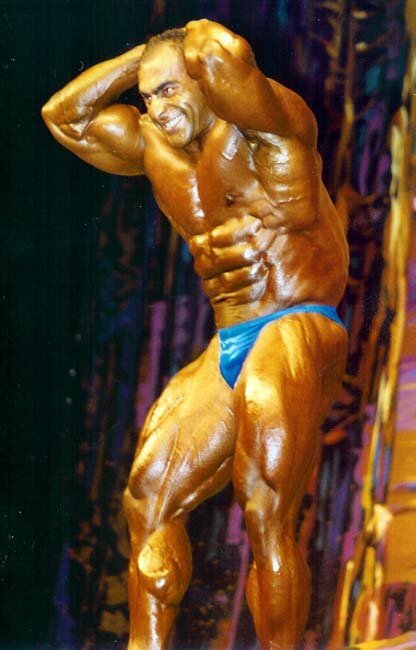 At the 1997 Mr. Olympia, The Show Dorian Won With Multiple Torn Bodyparts. With his series of tell-all interviews, the question that is on everybody's mind seems to be, why? Why come out now? In his interviews Nasser has not shied from any topic and has put his reputation and credibility on the line with each instalment. 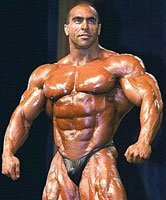 Why would a man with Nasser's auspicious bodybuilding background and reputation as a knowledgeable and sought after expert on bodybuilding, training, and nutrition take such a major chance, some might say risk, exposing himself in this manner? Quite simple really. When you speak the truth, as Nasser so vehemently claims to do, there is nothing to hide and nothing to fear. He is not afraid of retribution nor counter-challenges as he feels his arguments are as solid as the physique he has crafted over his 20-plus year bodybuilding career. I have still so many memories about people, locations and events. I can remember things relatively well even if I do forget some things here and there. So finally I became more and more truthful - again all from my point of view. Nothing is just fabricated or invented here. You see it in writing exactly how I saw it. Not more and not less. With Dave Palumbo At A New York Nightclub. 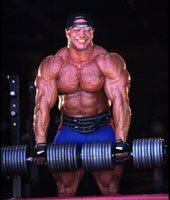 I read a thread about Markus Ruhl, the German giant, on the 24th of January 2008 on Getbig. He mostly got very positive statements and comments and for sure the usual dumb ones as well. The funny thing really is that Marcus is a nice guy and I like him personally. But all these idiots on the boards like him not only because of his size but primarily because he does not have (officially) an opinion on everything and anything. The same is with Schlierkamp and others. But if Ruhl really spoke up like I am doing it he would be even more critiqued than I am. He would then be "a Nazi," just a "mass monster" with "no structure and symmetry," "who could not even win two pro shows," "he should go back where he came from," "he is just full of sh!t and oil," "his stomach is even bigger than Cutlers and Ronnies," some black people would label him as "white trash." Are, in fact, people on all these different boards, and in general, who make pilgrimages to bodybuilding shows so dumb that they judge a person by their smile, handshake and a picture that was taken? Yes, indeed, I see it every day, not only in bodybuilding but all other areas of life as well. 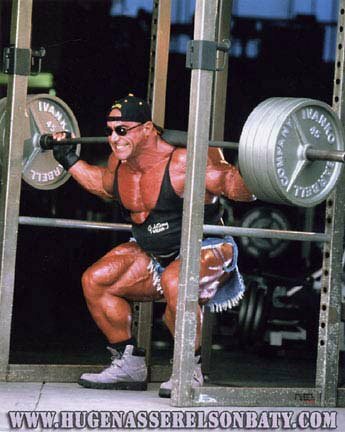 At The 1998 Arnold Classic. Do these retards really think that Ruhl does not feel discriminated by the pro-USA bodybuilding judges, that he does not get any coverage in the US except from British people like McGough, Lund, Gethin (Editor's note: Kris Gethin is from Wales), and Horton. I am amazed about the low, very low, average IQ of many so-called bodybuilding fans. They are actually not fans, they are just jealous and envious creatures and desperate under achievers. Amazingly they do not only know almost nothing about bodybuilding besides thinking they know, but again they barely know anything about it because from their sentences you realize that basic knowledge and common sense is missing. No wonder some see people like the DCM and others as one-eyed kings among the many other completely blind kings. If Ruhl retired and had spoken his mind as he does not - except privately - then all the miserable fake fan creatures would question why he is still so big and if he would become smaller like Levrone and Tom Prince, for example. Then he would become physically sick or it would be "all drugs." And if he is soon to be 50 years of age like the excellent-looking Gary Strydom then he would be "dead soon or have lost ten years of his life and living unhealthy." I can with much more right criticize my pro colleagues than any other person because I have been in the game. And most people on the boards, for example, do not even know what bodybuilding is really all about. To them it is just anabolics, GH, insulin, diuretics, more drugs, tanning, shaving, and flexing. If I say, for instance, that this or that bodybuilder has bad arms I am talking from my perspective as a seasoned and battle proven pro and I do not agree when a nobody says: "Oh, he (a pro bodybuilder) looks horrible." 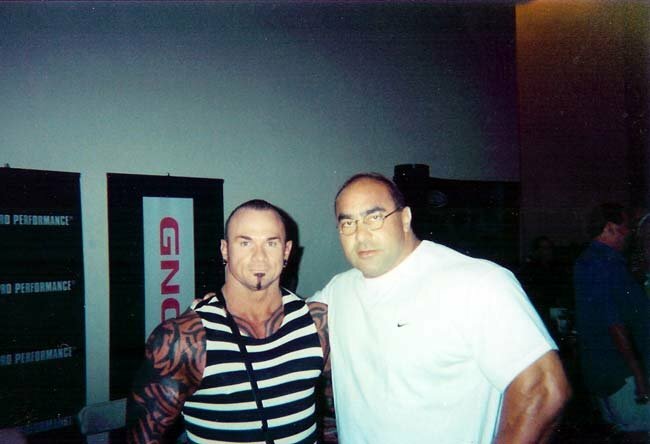 Nasser With A Fan In 2006 At The USA Championships In Las Vegas. These people are not qualified to open their decayed mouths and use their under-developed brains. And if guys like King Kamali, who I personally like very much, speak up, then they try to make his physique look bad regardless of the fact that they won't achieve his body ever, despite taking a ton of drugs. I personally do not care what these homophobic and racist, chauvinistic bacteria brains think or produce. I have nothing to prove to them except to show them that there is nothing but the truth. It is also retarded to think that I am burning bridges - bridges to whom, to where? Bridges to people I never had a real - but fake - relation with? I really do not care what the Chihuahua (Ray), Kenny (The Zebra), drug dealing & narcotic addicts being amateurs, pros and judges, and dumb alcoholics like Art Bedway, think of me. People with intelligence, with personality, the true achievers in any area of life and the ones with no fear in their hearts know to value and to appreciate me. 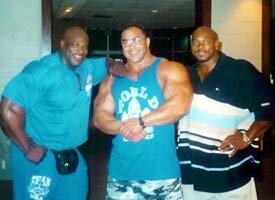 With Ronnie Coleman And The Ze...Flex Wheeler. I do not want to be a fake, nice guy. I am either nice or being perceived as not being nice because I am speaking up - and the truth obviously hurts. Bodybuilding is not an asset to me, I am an asset to bodybuilding. I made bodybuilding history and there are only a few people in the sport, like the Weiders, who ever helped me first of all, and then a handful of others. Let the never existing bridges and the roads to nowhere burn in h*ll." Nasser Placing Second At The English Grand Prix. 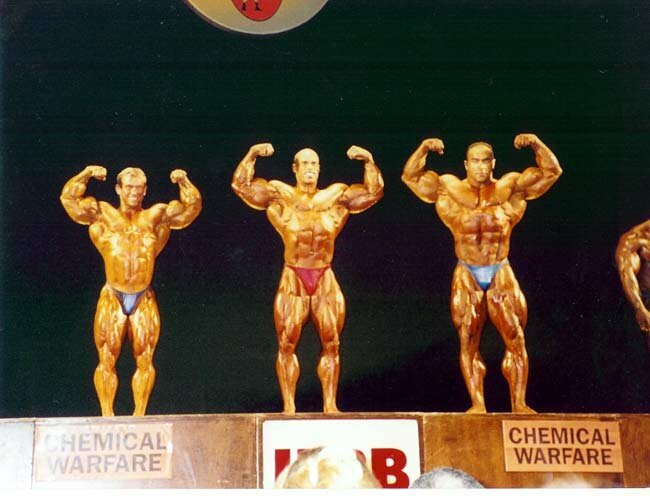 Dorian Yates (Far Right) Won This Show. Who Should Have Won? You Decide. People are asking: how exactly did the Nasser interview series come to fruition? As a writer for this series I have to say it all began with bodybuilding great Reg Park. In contacting Nasser to see if he would like to contribute to a Reg Park tribute article I was writing, we struck up a working relationship. He declined to take part in the Reg Park piece because he "had not followed Reg Park's career closely enough and on that basis could not give an honest assessment of Reg as a man." 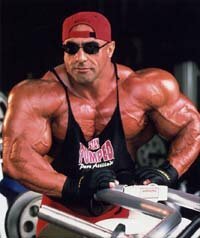 Nasser did, however, agree to a general interview on his bodybuilding career and so was born interview one. The fact he did not give me some stock, standard answer about "how Reg Park inspired me to become a great bodybuilder and how Reg is one of my greatest idols" gave me a brief glimpse of his personality, gave me a taste for exactly how honest he could be. In declining he gave me his honest view on this matter, not some sugarcoated sound bite on his admiration for the great Reg Park. 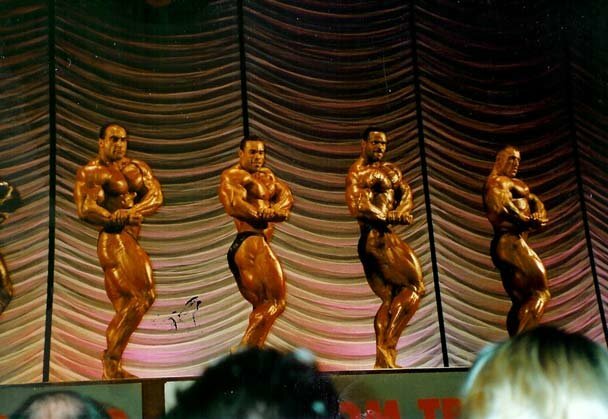 At The 1998 Arnold Classic. Result: Second Place To The Zebra. While the questions I planned to ask for our first interview were general and mostly targeted at his bodybuilding career, a few controversial ones were added. My rationale was that he would either answer them or not and there would be nothing lost on both sides. As it turned out Nasser responded before I even posed my questions, before our first conversation, and specifically asked for questions that were not typically covered in bodybuilding interviews. Indeed there would be no "so Nasser who is your favorite bodybuilder and why?" type questions. As one who likes to dig deeper in my quest for knowledge this was perfectly fine with me. Our interview would be completely outside the box, beyond the nice, safe, politically correct interviews typically read in bodybuilding magazines. 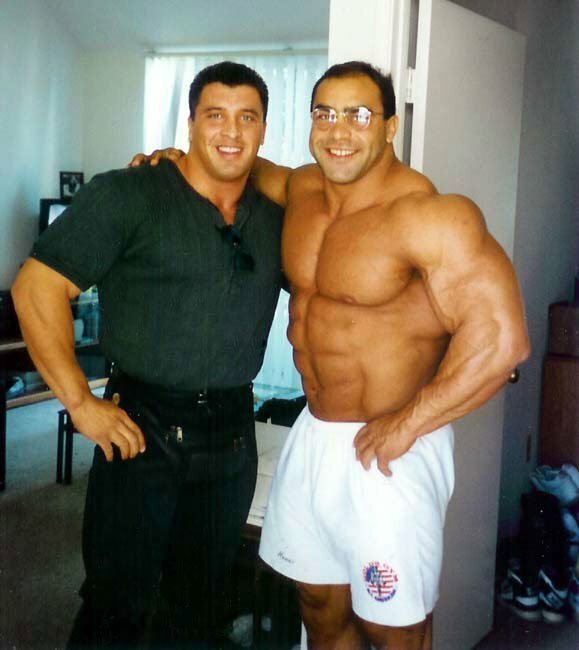 As history shows, Nasser not only answered my questions but also delved deep into the bodybuilding industry, exposing those he perceived to be crooked and those he felt deserved outing. The man talked with great passion in a carefully measured manner leaving nothing out and putting it all on the table, the good, the bad and the ugly. Nasser With All Weider Athletes In 2002. He spoke with a level of ferocity previously not witnessed by this interviewer, leaving no stone unturned in his relaying of the truth. As the information flowed and the interviews ran (over several months), demand from the public for more of the same became apparent. However, on the other side, responses were mixed. 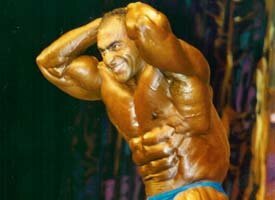 Nasser El Sonbaty - 2000 Olympia. While some appreciated Nasser's forthrightness, others felt he had no place speaking out. 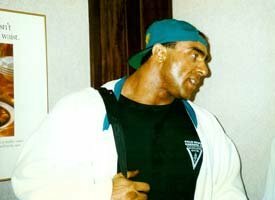 As a result Nasser intensified his efforts, which culminated in interview four (probably the most controversial bodybuilding interview of all time) and a corresponding public outpouring of condemnation and vitriolic critiquing. Although the consensus was that what Nasser spoke out on is verifiably true, many accused him of irresponsibly dishing dirt on an industry that has supported him for many years. But this very belief is partly what has prompted Nasser to speak out. He has worked himself into the ground for many years, supported multi-million dollar organizations and companies, yet was not compensated in line with athletes from other sports, who typically sacrifice a small percentage of what Nasser has endured to become the best in his field. 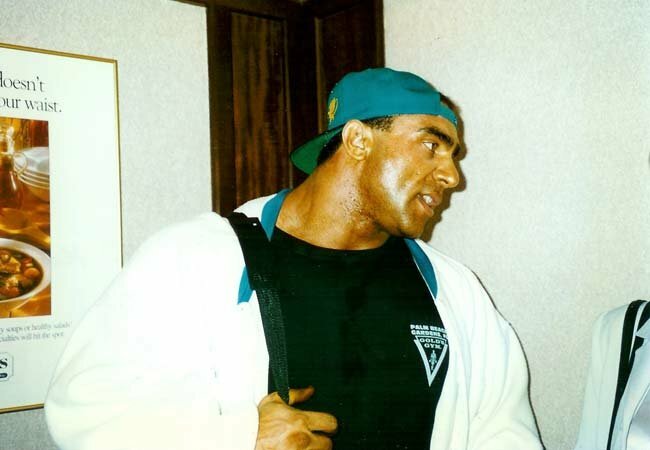 Preparing Backstage For The 1995 Mr. Olympia In Atlanta Georgia. "Originally I was contacted via email by David Robson to conduct an interview. I first Googled him and realized that he had great credibility because he also conducted interviews with other pros, amateurs and people in other sports. Also he is by himself an athlete and not a recreational drug user either. He does not even consume alcohol. So I emailed him back and said that I was very much ready for his possible questions. At the beginning Robson did ask me just general questions and I signaled to him - before he even asked me anything - that I would not like any average dumb @ss interview questions like, "What is your favorite movie... food?" These are just too plain, too stupid and too unimportant. I wanted real questions! So, originally we just planned to do one or two interviews but the questions came and the answers followed. Then in one of the interviews I mentioned that the DCM still owed me money (and still does) and after his rude and anti-social "response" on Getbig I just did not want to respond to it in simple terms. Referring to Milos Sarcev. DCM stands for Delusional Clown Milos. The DCM was actually the reason why these interviews became more than three interviews. I give the DCM the responsibility and credit for the even bigger escalation of truth and the exposing of many of the comic figures in bodybuilding. 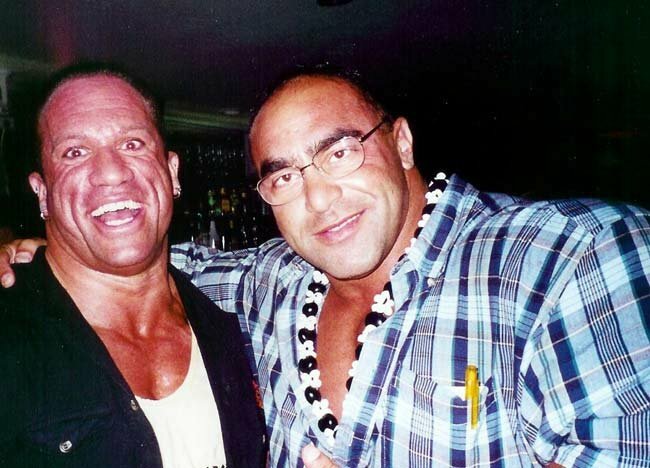 While many complain that Nasser has no business coming out now and revealing bodybuilding's deepest, darkest secrets nobody can say that what he has said so far is not interesting and entertaining, although this is not his express purpose for speaking his mind. His purpose, as mentioned, is to bring awareness to the inequity facing pro bodybuilding competitors and to clarify misconceptions surrounding his own bodybuilding history, to bring real truth to the table. In both of these matters he has achieved his target. But there is still much work to do. 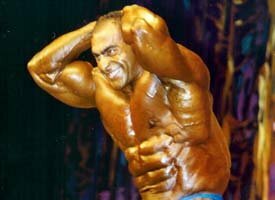 Nasser After Placing Second At the 1998 Arnold Classic. To understand why Nasser has come forward now, one must grasp the fact that Nasser is his own man; he has always carved his own track and has been straight up and direct with everyone he meets. Ask anyone. Nasser Is His Own Man. Directness is one thing he most certainly does not lack. So when you interview him you must expect him to go beyond what is usually expected from most interview subjects and into the realms of total honesty and fearlessness. And this is the kind of man Nasser is: honest and fearless, a modern day warrior who, in times of war, is locked and loaded and ready to fight. Whether the enemy is your typical pumpkin head, a seasoned professional who has crossed the line or a drug dealer who profits through others misfortunes, Nasser is ready to reveal the truth. Beyond a mere vitriolic tell-all, Nasser's series of interviews, in his own words, were intended to set the record straight in his own interminable style. He has wanted to do this for many years and felt, with his Bodybuilding.com association and writing partnership with myself that he was in the best possible position to do this. His views were presented to the widest possible audience through the four interviews that have run so far. Number five, the final interview, will be out very soon. But that is not all: a tell-all book will be released later this year and is expected to shake the bodybuilding world to its very core, to expose the sordid side of a sport that has generated its fair share of controversy over recent years. For many years the bodybuilding game and its varied and colorful players have been largely shrouded in mystery. Now one of its own, a man as close to the action as anyone is ever likely to get will speak out on all facets of an industry that is, in his view, at once corrupt and intriguing, a passionate and addictive pursuit that brings it own unique set of problems and battles. The interviews have been and gone. There will be no more. The book is coming and no one is safe; nothing is off limits. In line with his now famous, or infamous, interview series, Nasser's book, the most revealing of its kind ever, promises to be a major bodybuilding expose on an unprecedented scale.